Less-Than-TruckLoad (LTL) shipments are loads that are not big enough for a whole load, but too big for a common parcel carrier. This means a shipment that does not require a full 48- or 53-foot trailer. When this is the case, multiple LTL loads can be combined to make a full truck load. This not only saves the customers money, but also makes the trucking company more efficient by utilizing the most space as possible. Trucking companies have utilized LTL for many years now, and have become more efficient than ever, making LTL shipping the preferred freight option for many customers. LTL shipping is very popular and is utilized by many large companies as well as the average person. 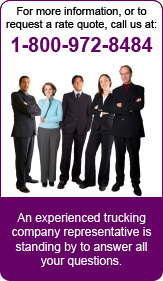 Reduces costs: The main benefit to LTL trucking, is the reduced cost. Instead of paying for a full truck and trip, you only pay for the portion of the load that your item(s) takes up. The rest of the cost is shared with the customers of the rest of the payload. Increases security: LTL shipments are generally palletized making them more secure as well as making them easier to load and unload. Efficiency: LTL trucking means reduced fuel consumption and less travel on the roads, responsibly using resources. 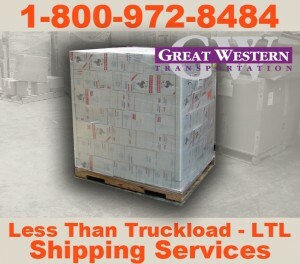 LTL shipping is utilized daily all over the U.S, it is a safe, secure, inexpensive way to ship your cargo. So if you have a load to ship that’s not big enough for a whole truck, than LTL shipping is the best way to go. It will save you money and make the trucking company more efficient as well. For LTL shipping, or any other trucking needs, contact us.